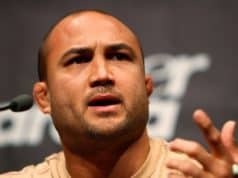 BJ Penn’s team has issued a statement on the recent domestic abuse allegations that have made headlines. 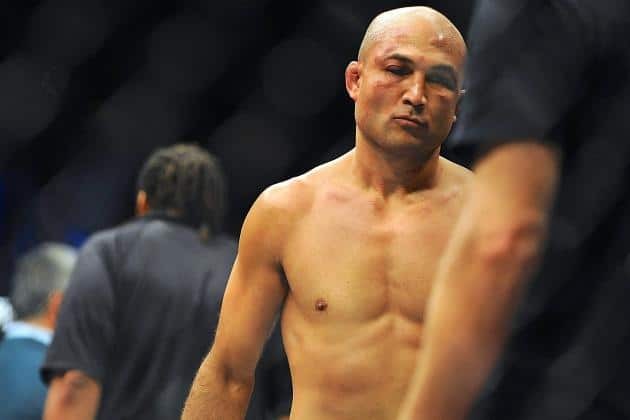 According to reports, the MMA legend has an active restraining order against him. This is after his estranged partner alleged there were threats, verbal and physical abuse, and sexual coercion while they were together. The original report stated that the temporary restraining order and petition for an order of protection were first given back in October and then extended after a hearing last February. It will expire on October 2021. Penn is currently scheduled to face Clay Guida at the UFC 237 pay-per-view event. The show takes place on May 11, 2019, at Jeunesse Arena in Rio de Janeiro, Brazil.